The Natcore Foil Cell™ combines a revolutionary laser process with a novel metallization strategy, enabling high efficiency cell architectures at low cost. The key feature: metallization of the cell by direct attachment of a bilayer aluminum foil laminate. The concept simplifies the fabrication of several silicon based, all-back contact cell architectures. 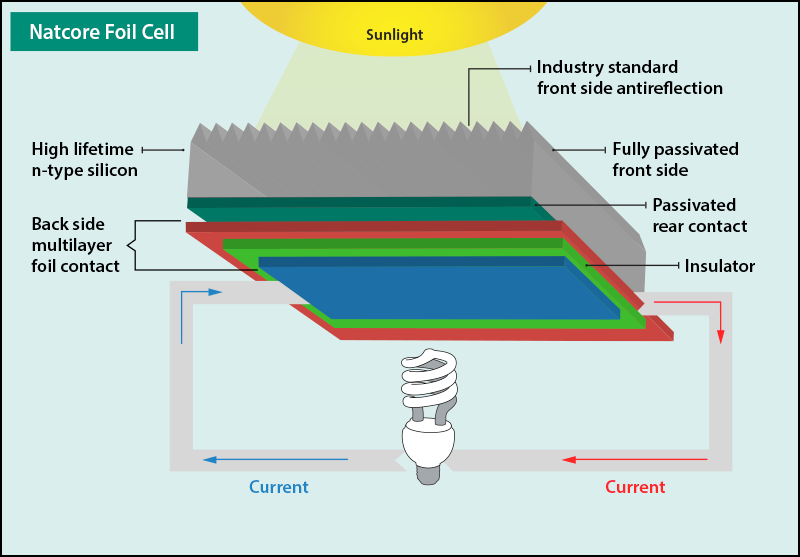 The all-back-contact solar cell is generally recognized as a very efficient structure. Indeed, a cell of this type holds the world record for silicon cell efficiency at 25.6%. However, complicated and expensive production requirements have always been a limitation to producing cost-effective all-back-contact cells. All contact metal is aluminum foil. A significant cost savings is derived by eliminating silver metallization materials. Further cost and simplicity originate from leveraging the high volume processes that already exist worldwide for forming and processing aluminum foils and laminates. All-back-contact cells tend to have very low cell-to-module (CTM) losses, due in large part to the ability to couple them with very conductive module backplanes and minimize front encapsulant thickness. The Natcore Foil Cell is compatible with 156 mm x 156 mm wafer sizes. 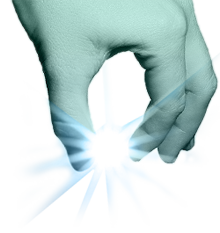 The Natcore Foil Cell and all related technologies and inventions are protected by patent applications.